Woohoo! 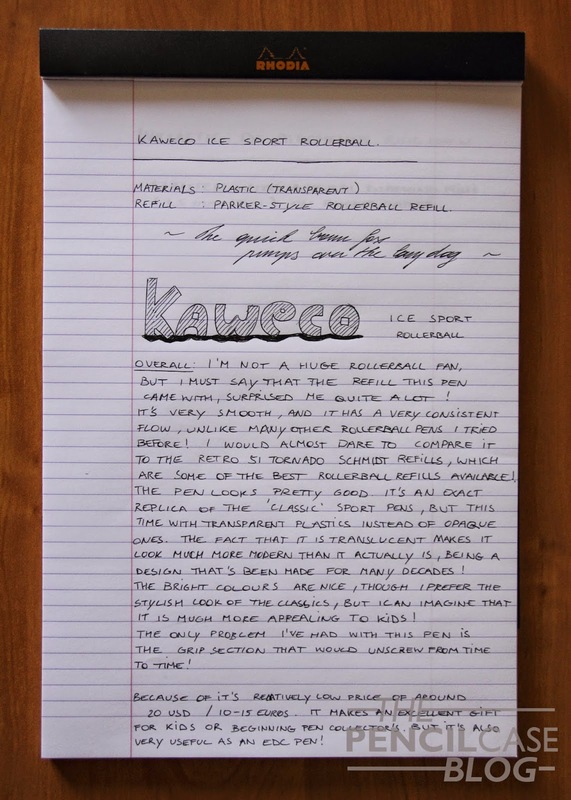 More Kaweco reviews! 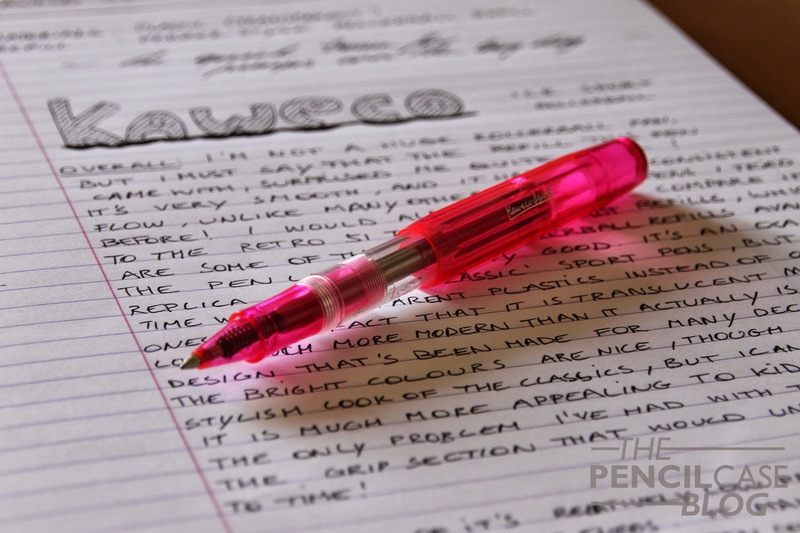 - Kaweco has returned with even more awesome products for me to review, including some brand new pens! So stay tuned because more Kaweco goodness will come in the future! Again, big thanks to Kaweco for providing these pens! By now, most people will know that I'm not a huge rollerball-fan. But I'm always glad if I can try out something outside my comfort zone, because that's where I'll often find products that are much better than I expected! And this one is no different, especially the refill this little pink pen came with really surprised me! It's very smooth, and the flow and line width are very consistent, something that can't be said about many rollerball pens I used in the past! I would almost dare to compare it to the Schmidt refills that come in the Retro 51 pens, which are some of the best refills I've ever used! The pen itself looks pretty good, it's almost an exact replica of the Classic sport pens, except for the transparent plastic brightly coloured cap. 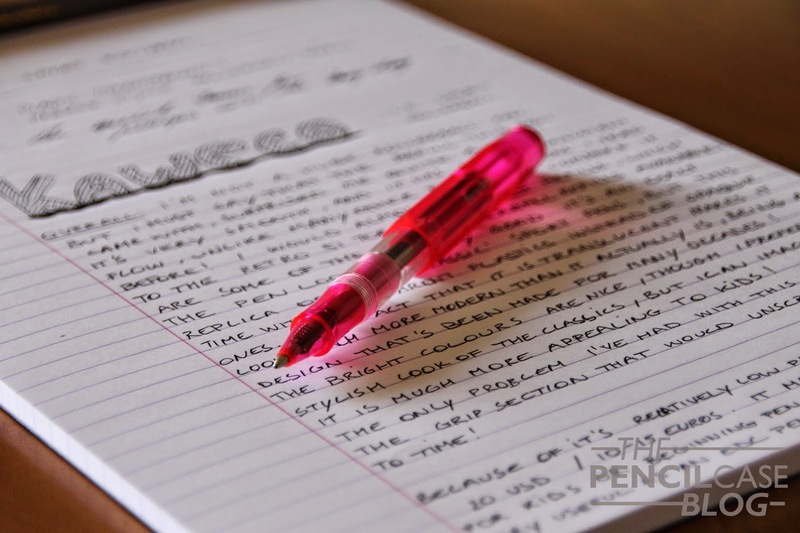 The bright coloured cap gives the pen a different, not-so-serious and more modern look, which will definitely appeal to young people that are looking for a entry-level, but decent pen. There's nothing I dislike about the design aspect, however I would have prefered a smoky grey option or something similar instead of the bright hot pink ( not really my thing! ), but that's just me and my fear for colour! Build quality is on par with other Kaweco pens, which is a good thing. The only real problem I ran into, is that the section tends to unscrew from time to time, probably because of the spring that puts some pressure on it, making it easier to unscrew by accident. As I said before, the refill is excellent, but for those who prefer a ballpoint refill, it can be swapped with any Parker-style refill you want! Maybe check out this awesome refill guide Ana (from the Well-appointed Desk) made for more refill options that will fit this pen! Because of its relatively low price (10-15Euros / 20 USDollars), this pen would make an ideal gift for kids or people that are new to the pen scene! It's also perfect as an EDC pen if you want to stand out between the crowd with a flashy writing tool! 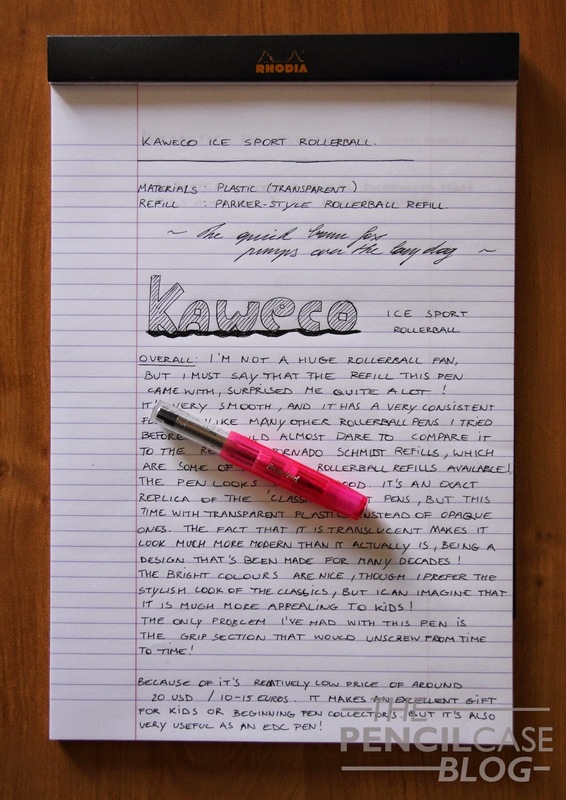 Note: this pen was sent to me by Kaweco, free of charge, so I could write this review. I was in no way influenced in the making of this review, nor was I monetarily compensated. The opinions shared in this review are completely my own!.